Everywhere you look, people are lauding the arrival of summer. They’re celebrating the long days and balmy evenings; the fun, flimsy clothes; the endless barbecues and fresh fruit buffets. What they’re not talking about is the truth. The fact that every year, people all over the country are plagued by insects, bitten alive in their sleep, forced to work in sweltering conditions, and endure hot, sleepless nights. Yes, the summer isn’t all it’s cracked up to be at times. Because how can you enjoy all the delights that the warm season brings, if you’re too hot, hungry, sweaty and tired to do anything fun? There’s nothing worse than wanting to go to sleep but being stuck in sticky, sweaty sheets, in a hot and stuffy room. You want a cool breeze – but the only thing coming in through your window is hordes of biting insects. So, first things first: invest in a powerful fan. That way you can still get a breeze, without having to open your room up to insects. You can try strapping bottles of frozen water to the fan, or placing them in front of it. This way, your fan isn’t blowing around hot air – it’ll be blowing out through ice cold air instead. Then, look at what your bed sheets are made out of. You really need to have 100 percent cotton sheets. Anything else will make you sweat more. This goes for pajamas too! Finally, try taking a cool shower before bed. It’ll lower your body temperature and make it easier for you to drop off to sleep. When it’s super humid outside, it seems you don’t have to do anything more than walk to the car before you’ve raised a sweat. It’s not pleasant, especially when you have to do a full day of work in sticky clothes. Plus, the smell – no matter how strong your antiperspirants are – can make you feel very self-conscious. To help you stay feeling fresh all day, do the opposite of what you might think. Don’t wear tight clothes, showing off lots of skin. To stay cooler, and sweat-free, opt for loose, baggy tops and trousers. This will let the air ventilate around your body, cooling any sweat instantly. Again, look for clothes made from 100 percent cotton. Sports specialists do many moisture-wicking tops, which you could try investing in too. Getting bitten by bugs is the worst part of summer evenings. You want to enjoy a lovely dinner in the cooler evening air – but you can’t, because all the insects are out to get you. From mosquitos to gnats, there’s no escape. If you can avoid getting bitten, that’s the best option. Try to make fly traps or use citronella candles. 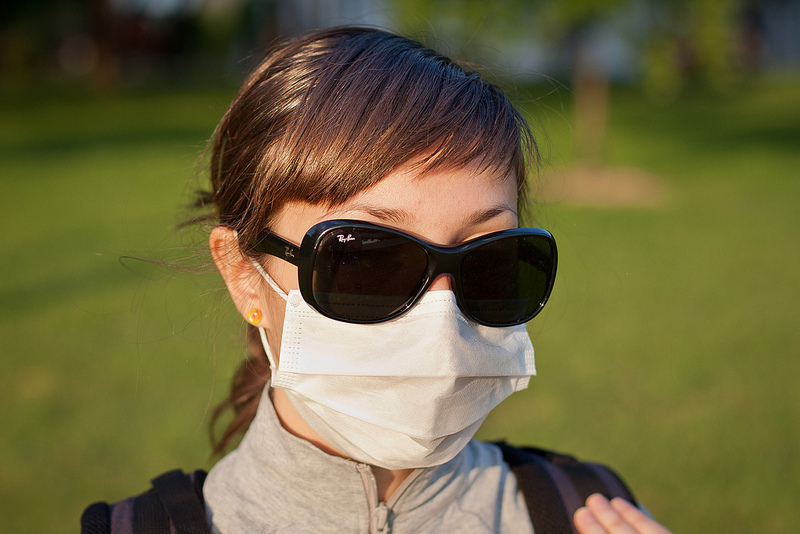 Wear plenty of fly repellent, and go for light colored clothes. However, some bugs will get through the strongest defenses. In that case, you need to know how to treat them – and fast. Firstly, keep the swollen limb elevated. Take an antihistamine tablet, and if you’ve got any cream, apply that too. If you don’t have any, look in your cupboards: vinegar (preferably apple cider vinegar) can be applied to bites to take the itch out, as can honey, and oatmeal. Apply ice packs to the itchy area every hour, and whatever you do, try not to itch it! Not only do you have to suffer from aggressive, irritating insects outside, but summer can bring about the same species moving into your home. Pest infestations don’t take long to get established, and once settled in, can be a complete nightmare to get rid of. So, if you’re worried about unwelcome visitors, find your nearest pest control company, as soon as you can. If you can find one local to you, like Go-Forth Pest Control in Durham NC, they’ll be able to come out quickly and get the job done as fast as possible. Changing air pressures and thick, humid heat are a recipe for prolonged headaches. These dull, throbbing pains can leave you feeling useless, especially when the heat makes them worse. Try to avoid them by drinking plenty of water, and ensuring you stay hydrated throughout all of summer. Air conditioning can sometimes cause these headaches, so if you can bear it, try switching it off and opting for an open window (protected by a fly net, of course). Likewise, if you suffer from constant lethargy and tiredness, make sure you’re drinking enough. Try the sleeping tips above to rejuvenate your sleep cycle too. Sunburn isn’t just painful and unattractive, but it’s also a leading cause of skin cancer. Don’t risk getting burnt, and make sure you cover yourself in a high factor sun block, with both UV A and UV B properties. Wear it whenever you’re outside, paying close attention to body parts like the tips of your ears, your nose, your chest and your shoulders. Don’t think that just because it’s overcast that you won’t get burnt. Even if the sun’s not out, there’s still a chance of you burning. Want to go for a walk and admire all the gorgeous plants and flowers that nature has to offer? Well, if you’re a hay fever sufferer, or get asthma, you’ll struggle. The pollen released in summer months can have an awful effect on people, causing itchy, burning eyes, a running nose, a sore throat, and constant sneezing. Not only does this make you feel unwell, but you’ll be too worried about a reaction coming on to want to go outside. So, to avoid this, you need to get prepared. Before your allergy season starts, try eating natural honey, made in the same area as you. It’s said that by getting your immune system used to the pollen around you, you won’t suffer as badly. Next, get some good antihistamine tablets. Over-the-counter tablets are quite good, but prescription medication can eliminate all symptoms. Likewise, find some good eye drops, and use them as soon as your eyes get irritated. A cool compress on sore eyes will help to minimize the reaction too.